We see you out there. Yes, you - the person who loves our barre classes! How would you like to spend a weekend with fellow barre-addicts taking class, learning the how's and why's of class structure, and breaking down all the exercises? You might think you know barre, but this weekend will change your practice forever! Anne is excited to bring movement into the lives of others. With an athletic background, Anne has always loved to push herself and others further than we think we can go. “You are stronger than you think you are” is a mantra that resonates. Anne is a Registered Yoga Teacher with the Yoga Alliance and a certified Rasamaya Barre instructor. Magnolia's Barre classes are known for being empowering, effective and fun, which is why this training is a perfect fit for Mighty! They feature fluid athletic workouts specifically designed to strengthen and lengthen muscles! The classes are fueled by upbeat music and efficiently flow through each muscle group, creating endurance and stamina through strength training and increased flexibility through stretching. The movements are influenced by many modalities including Pilates, yoga, and orthopedic and classical ballet barre exercises. We are all about empowerment, on and off your mat. 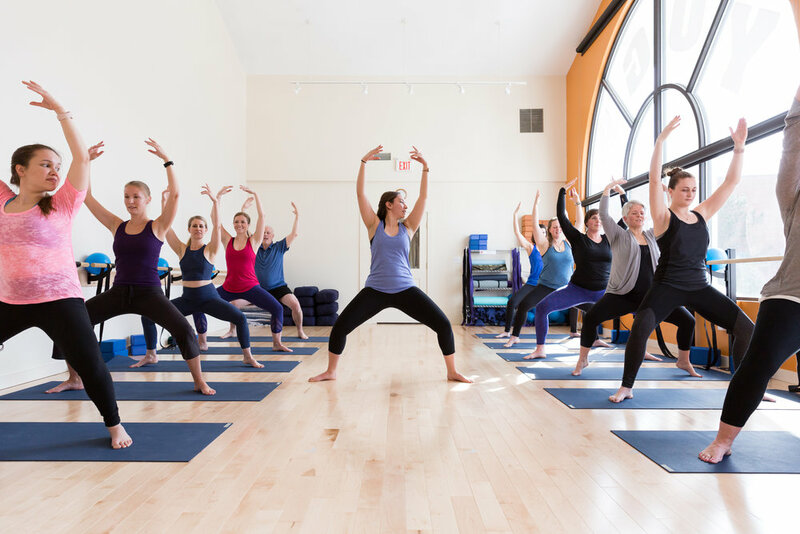 Our barre teacher training will offer you all the tools you need to be a polished instructor fully prepared to teach the fluid pace of a Barre class. Our method focuses on anatomical alignment which is at the heart of each of our intelligent movement classes. The training offers a large array of repertoire and offers you a thorough understanding of dynamic opposition, teaching methodologies, body language assessment, hands-on adjustments and theory. Note: This is a Level 1 training, so you won't technically be certified (read more on this below*). However, it IS enough to audition and teach at Mighty. First 7 to enroll in this training get a lower rate of $425! Don't wait! We are also willing to arrange payment plans. Checks are preferred, though we do accept Visa or MasterCard. *Requirements for certification include completion of a Level 2 barre training, documented volunteer teaching and submissions of a recorded class. Students must also complete either a Magnolia anatomy course, or an equivalent anatomy training. Students with a background in anatomy may test out of this requirement. $150 of your tuition is considered a non-refundable deposit. No refunds for canceling within 14 days of the training start date. Students will receive a confirmation email confirming acceptance and payment. Please contact Haley@mightyyoga.com with any questions!